These are exciting times to be in the business of communications. The media landscape is dynamic and evolving rapidly. With Web 2.0 technologies, media’s role has changed from a medium to inform to one that engages and empowers. It’s possible to tell a story in 140 characters now, spark off revolutions by a tweet and carry the power of publishing in our pockets. This revolution has touched every person, institution and nation. With the responsibility to collect and manage massive amounts of data and the principal role of public information, governments worldwide realize that it makes great ‘governance sense’ to ride this revolution and use it as a force multiplier in its efforts to serve, engage and empower. Governments worldwide are going through a fundamental change in the way they interact with their citizens, driven by the near-universal adoption of Web 2.0 offerings. 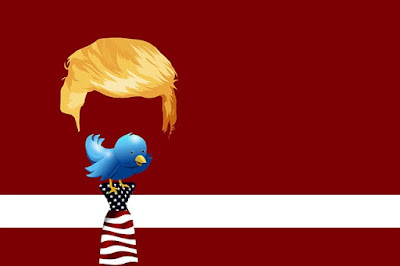 Today, there are numerous examples from all across the world of governments adopting social media from delivery of public services to the conduct of foreign policy. Last year the Governor of California Jerry Brown, unveiled a tax plan on twitter for Californians soliciting inputs, support and feedback. Gov. Brown described it as an initiative to overcome partisan politics and asked voters to raise levies on wealthy and increase state sales tax by half a cent to help restore California's fiscal stability. 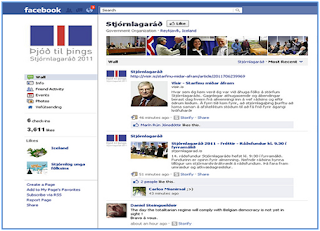 In July 2011, the Iceland’s constitution council engaged with citizens through Facebook, Twitter, YouTube and Flickr via a crowd sourced platform to create a constitution for the country. These initiatives go beyond traditional civic engagement with citizens but reflect the faith of governments in citizens’ wisdom, the democratic process and the reality of social media as a mainstream platform for outreach, consultation and feedback on actions. Another impressive initiative is United Kingdom’s Big Society. A policy idea of the UK Conservative Party general election manifesto, it is also a legislative mandate for the current Conservative – Liberal Democrat Coalition government led by David Cameron. 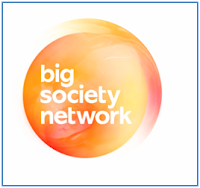 Big Society strives to create a communal idea of fellowship and through the website http://www.thebigsociety.co.uk/ a platform is provided to citizens to ideate, offer help and ‘almost anything’ that can promote a better society. Politically neutral, Big Society aspires to "to create a climate that empowers local people and communities, building a big society that will 'take power away from politicians and give it to people'." Governments globally have integrated social media into their communications. In the US, 90% of public sector organizations are using social media for one or more of the following reasons, inform policy decisions, communicate externally to citizens and other organizations, and internally for their own employees and contractors. An interesting innovation is the Sunlight Foundation’s annual development contest called Apps for America: The Data.gov Challenge, that asks developers to design compelling applications that provide easy access and understanding for the public of data released by government, while also showing how open data can save the government millions of dollars. Besides by engaging the development community in application development at far cheaper rates than traditional government contractors it has almost created a new model in government contracting which is incredibly cost effective! In New Delhi, India, the city’s police force, The Delhi Police has its own presence in social networking platforms like Facebook and Twitter. Delhi Police enjoys the perception of being the most efficient force in the country and has initiated numerous community policing projects. The force now use twitter to provide real-time traffic updates on peak traffic times, congested roads, location of public transportation etc. It’s also a platform for the force to actively engage in conversations with citizens on traffic issues. This engagement is not limited to management and delivery of public services alone. 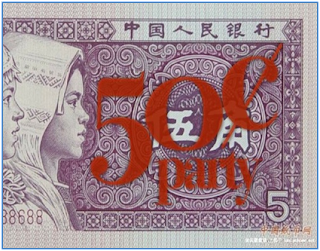 China for instance has its ‘50-cent army’ created to dominate online conversations and shape public opinion within and abroad. The country has employed nearly 300,000 people to push the government line by posting to the many forums, blogs and bulletin boards available on the World Wide Web. While the government line is supported by these ‘soldiers’ who are apparently paid 50 cents for each post they are also active on overseas forums to counter any negative publicity that China gets abroad. When CNN journalist Jack Cafferty made his famous ‘goons and thugs’ comment for Chinese politicians the 50-cent army was active shaping online conversations in favor of China. A much talked about event recently was the first ever governmental press conference hosted by Twitter on Dec. 2008. Organized on behalf of the Israeli Defense Forces (IDF) and facilitated by Israel’s New York consulate, questions and answers in this press conference were limited to 140 characters, the standard length of a "tweet." It received global attention and leading media outlets such as The New York Times and The Guardian found the space to talk about it! For many emerging economies like India, social is an excellent platform to promote the country for increased investments and tourism and also proactively engage with foreign audiences abroad. The India Future of Change initiative supported by the Public Diplomacy Division of the Government of India represents one such initiative. 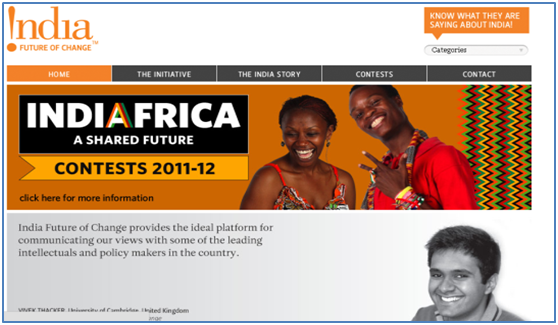 It is a platform for a series of ‘multi-disciplinary contests’ to engage the world with India. A visit to the site reflects the tremendous activity that takes place in the platform including essay contests, photo contests with entries from all over the world. The Public Diplomacy Division of the Government of India is also one of the most active departments of the Indian government on social media. 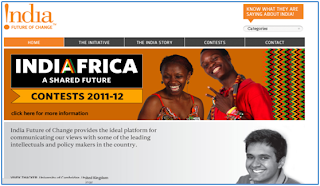 Apart from numerous digital engagement campaigns one that particularly stood out in recent times include the ‘India is…’ Global Video Contest launched on YouTube. A global initiative, it is aimed at encouraging individuals and countries around the world to think of India in interesting, pervasive and positive ways and submit a 3 minute video film about India on different themes like colorful, creativity etc. This is currently an ongoing program and winners will be announced on March, 2013. The Division has a strong presence on Twitter and its twitter page was a major channel of communication during the NATO – led war in Libya. The government’s use of twitter to communicate real time with Indians stranded in Libya and facilitate their evacuation is a much admired case study of the use of social media by a government department. Taiwan is a great example for creativity and innovation with Web 2.0. It has developed a unilateral initiative called ADOC (APEC Digital Opportunity Center), to reduce digital divide and promote e-business among member economies of Asia-Pacific Economic Cooperation Forum (APEC). Taiwan, because of its unique position in international politics, and China's attempts at reunification, is restricted from participating in most international organizations and also to obtain new diplomatic relations. ADOC is innovative attempts to by-pass all these hurdles and create another opportunity for engagement through a community driven online platform for knowledge sharing and capacity building. Governments pervade the most important aspects of our lives and there is a tacit acceptance about the potential of social media to help governments do their jobs better. The above examples are innovative instances of new collaborative approaches using web 2.0 to achieve open, accountable, responsive and efficient governments. It is a paradigm shift in governance and the future environment for governance, even in the most closed societies, will increasingly be collaborative, consultative and transparent. Social media is the biggest opportunity to harness local and expert knowledge, offer new tools for public servants to engage and respond to the community with real time solutions. It will develop networks of knowledge across the world for a true partnership between communities to address complex policy challenges. Governments become facilitators now and realize that the best answers to complex problems can come from anywhere. Ancient Indian wisdom as found in the Upanishads talked of ‘Vasudhaiva Kuttumbakam’ – ‘the world is one family’. In the 21st century, thanks to Web 2.0 we are on the verge of realizing its true meaning. The future does look social!